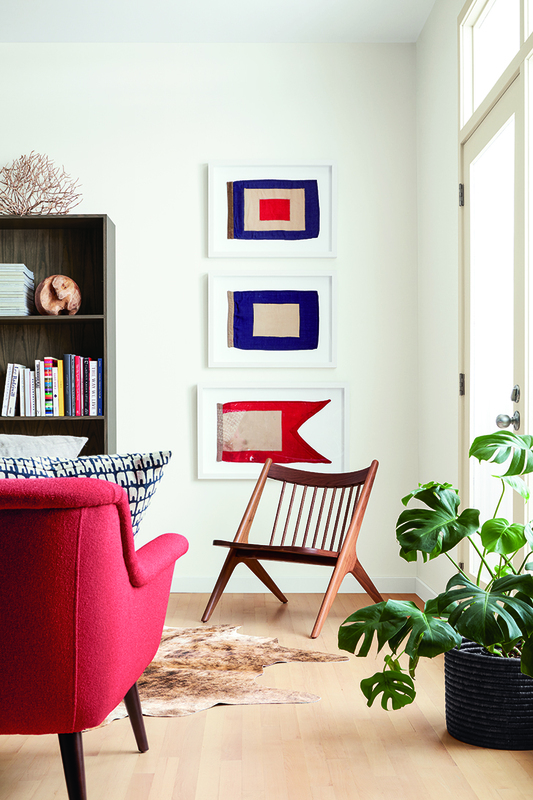 We love being able to share unique, one-of-a-kind finds discovered on our travels. 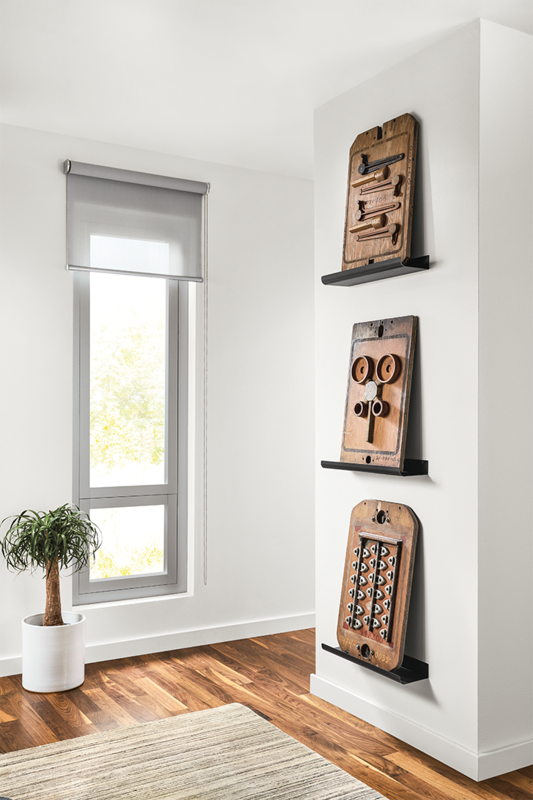 Initially used for other purposes, we’ve since turned these vintage pieces into accents and artwork. Each one tells a beautiful, purposeful story you’d be happy to share. 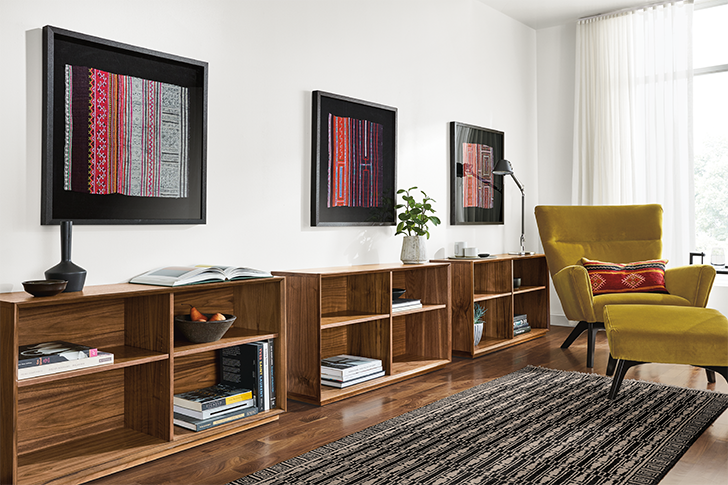 Our curated assortment of artisan work from around the world is always changing and is available only in our stores. Quantities are limited, so stop in to see our latest finds! To create these beautiful textiles, narrow strips of cotton fabric are hand-woven on personal looms in the western countries of Africa. 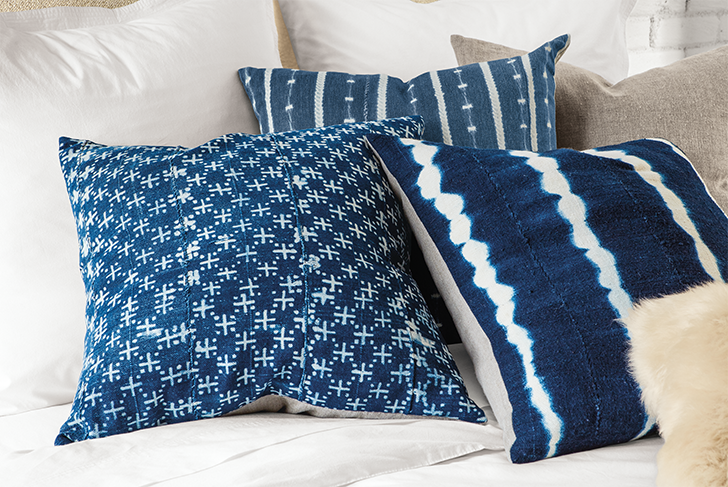 The narrow strips are stitched together then dyed in indigo using a paste – or stitch-resist technique to create unique patterns. No two are alike. 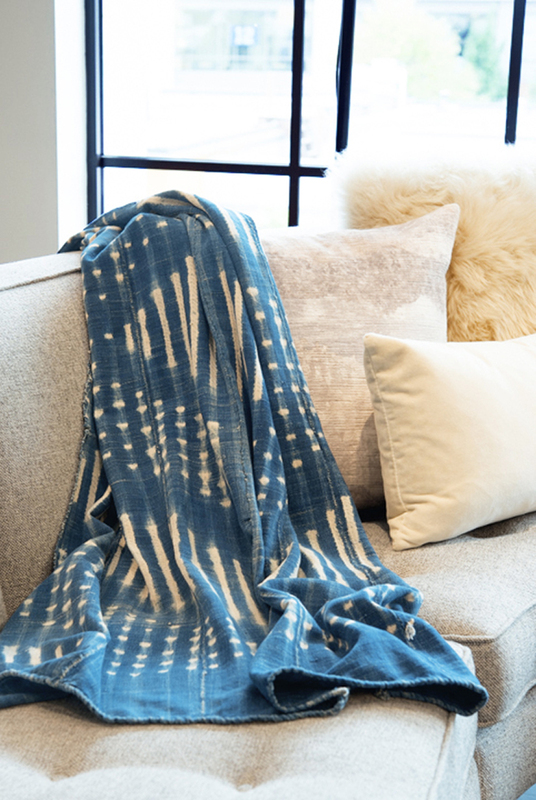 Originally used as clothing or blankets, these celebrated textiles can be used as throws, bed coverings or as beautiful wall hangings. Available online and in stores. 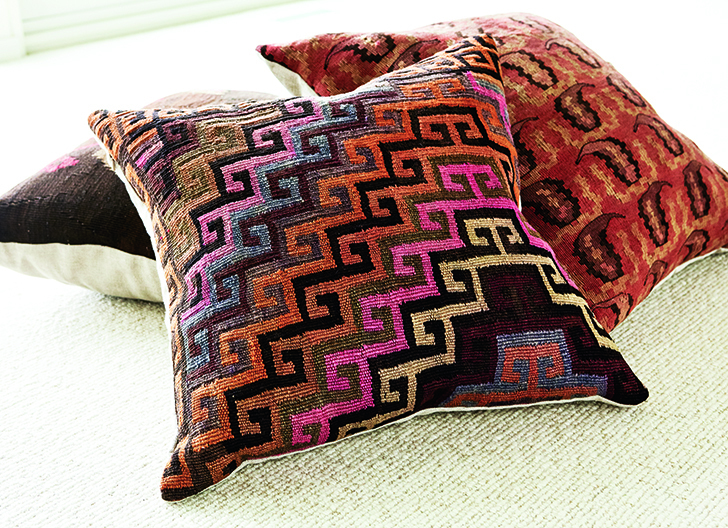 Each pillow in our one-of-a-kind Ridvan collection is a work of art made from Turkish kilim rugs more than a century old. We hand-sorted the rugs to choose a variety of patterns, colors and textures that encompass the kilim tradition. Available in stores only. Weathered from years of sun, storms and seawater, these Helm Vintage Nautical Flags gave vessels a way to communicate navigation and safety messages with each other. Each flag represents a letter or number defined by the International Code of Signals. Available in stores only. Made by the Hmong people of Laos, these fabrics showcase the fine artistry and craft passed down through generations of women. Originally used to make skirts, the textiles were hand-woven from hemp yarns and batik dyed with indigo. Brightly colored patterns were then hand-appliquéd and embroidered to represent cultural beliefs and a strong respect for the natural world. 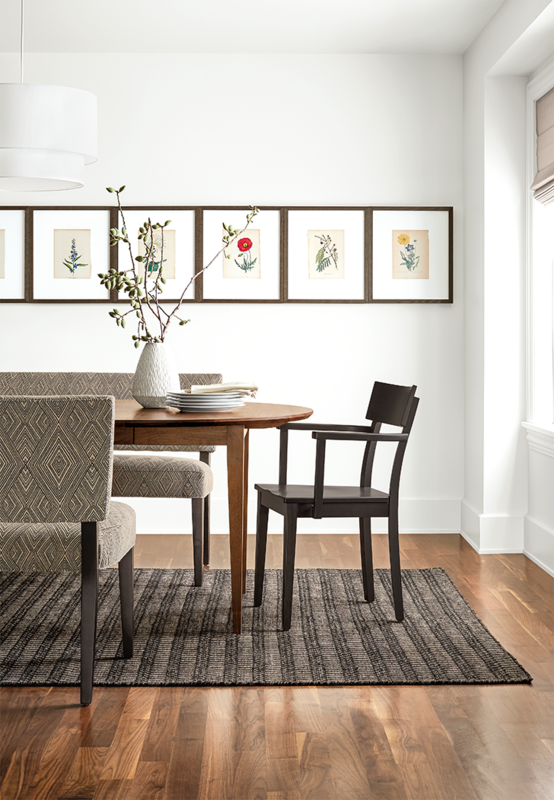 Carefully preserved and custom framed with archival-quality materials, by a family-run company in Ohio. Available in stores only. Part of America’s industrial history, these unique wall panels were originally used as molds to produce parts for a range of machines. The molds were made of wood to be lightweight enough for foundry workers to move around easily and sections of the mold were painted to protect the wood during repeated use. Handwritten notations are visible, which were used to indicate the pattern number, storage location and more. We’re proud to give these molds a second life as wall art with a story. Each one has a wire on the back for hanging. Available in store at Culver City, San Francisco, Denver, Chicago and Edina locations only. Take a trip back in time with U.S. postcards from the middle of the last century. We discovered these pieces that made us nostalgic for road trips and cross-country travel. The images showcase classic scenes, from buildings and monuments to parks and beaches. 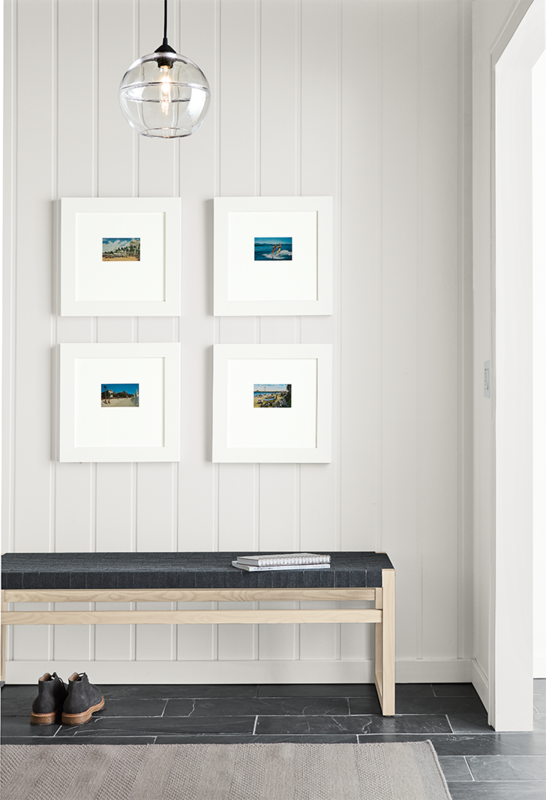 A family-run company in Ohio custom frames and mounts the postcards. Available in stores only. This unique print is from The American Flora, a four-volume series published in the mid-1800s. Used as a reference book for botanists, physicians and students, written by physician A. B. Strong and many of the plant descriptions refer to medicinal uses. The engravings were drawn by noted illustrators Edwin Whitefield and D.W. Moody. The print is custom framed and protected behind plexiglass. Available in store at Chelsea, Seattle, Chicago, Edina and San Francisco locations only. 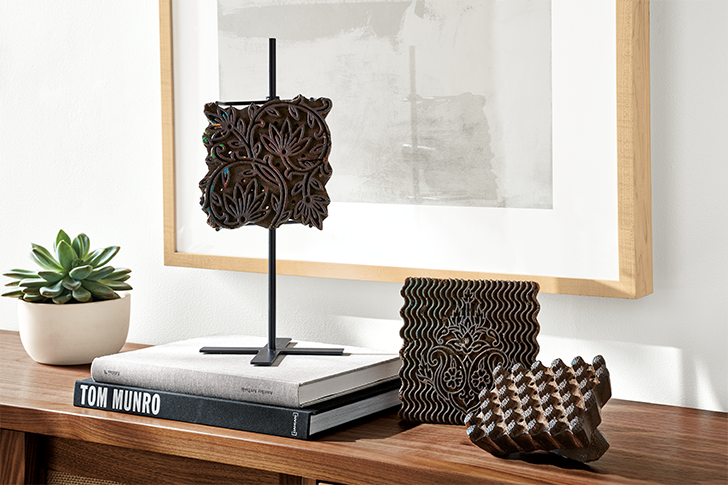 Originally used to print fabrics, these wood blocks feature intricate designs hand-carved in India. The artisan’s care and considerable skill are apparent in every block. A natural steel stand can also be purchased to display these objects. Available in store at Culver City, San Francisco, Denver, Chicago, Oak Brook, Skokie, Boston, Edina, Chelsea, Seattle and Washington, D.C. locations only.